This case study is part of the Essential Health Services Country Snapshot Series. Priority setting is a key function of health systems that seek to achieve universal health coverage. The Essential Health Services Package (EHSP) explicitly prioritizes certain services; government-sponsored health benefit plans implicitly prioritize others. 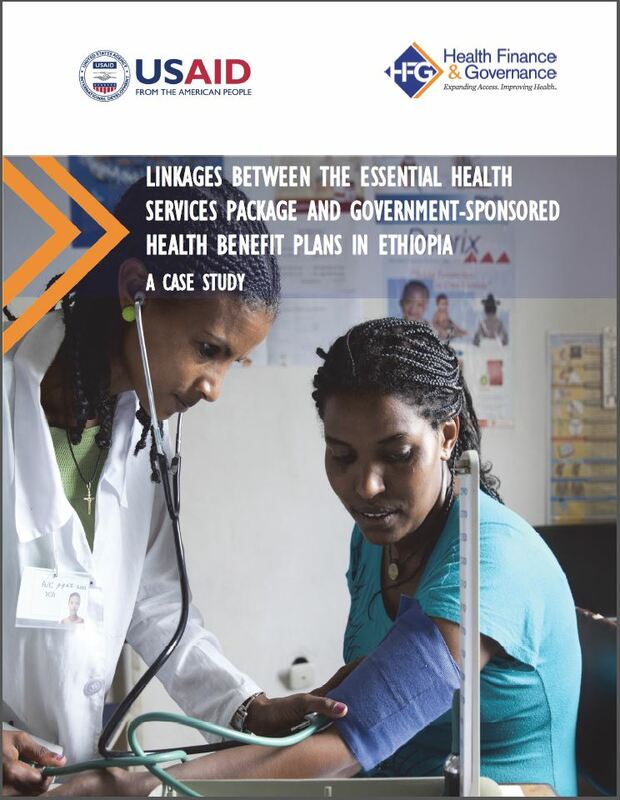 To gain insights into the purpose, policy objectives, and governance of the EPHS and dominant health benefit plans in Ethiopia, we conducted a case study in 2016. Methods included a desk review of relevant documents and qualitative analysis of 15 key informant interviews of leading health finance experts in Addis Ababa. All data were coded and analyzed using a thematic inductive framework. The EHSP played a key role in guiding service delivery prior to introduction of health benefit plans. Health benefit plans, being more sophisticated financing arrangements, cover different services than those services prioritized through the EHSP. The emergence of health benefit plans in Ethiopia shifts the role of EHSP in health system governance.